Google Chrome 60 has been released and is available for download and installation. You will get Google Chrome 60 offline installer for Windows, Linux, Mac Operating Systems. 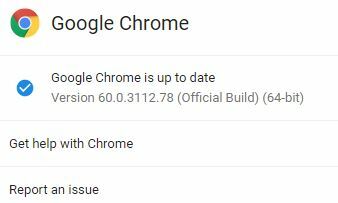 The exact version of Chrome released is 60.0.3112.78. 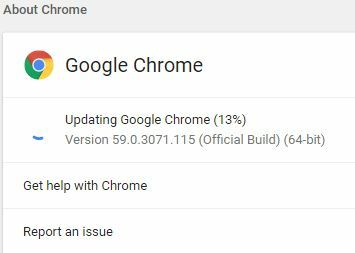 Let’s first look at the change log of Chrome 60 and then go on to its download links. In this release, 40 security fixes have been made which were reported by users. Following are fixes which have made in Google Chrome 60. No new features are added in Chrome 60. The issues which say that Chrome use after free in IndexedDB, Use after free in V8, Use after free in Chrome Apps, and Use after free in PPAPI is fixed. There was Type confusion in various extensions of Chrome, the confusion is removed. The issues of Out-of-bounds write in PDFium, Out-of-bounds write in PPAP, and Out-of-bounds read in Skia. are fixed. User information was leaking via Android intents and via SVG in earlier Chrome version. This is fixed now. The spoofing of URL in Omnibox is gone now. Fixed the issue of uninitialized use in Skia. UI spoofing in the browser has been removed. Pointer disclosure in SQLite has occurred in the earlier version of Chrome, which is no more in v60. A fix has been made with User Interface which was spoofing in payments dialog. Various fixes from internal audits, fuzzing and other initiatives have been made. Download the offline Installer from below link for your Operating System. After installation, run the Installer to start Chrome installation on your System. It will take 2-3 seconds to install. As the installation completes, the Google Chrome will open on your System. And enjoy the best browsing and downloading with the latest update of Google Chrome 60. Now it will show you the information about your browser version. And also gives you a message that your browser is updated. And will also tell you of any new update is available. Find the Offline Installer link for your Operating System and download it. And then complete your installation without Internet availability. Thank you. So this just links to the newest version, not specifically version 60 as it says it does. PS: How can you get those link download from Google? That’s great. All our download links provided on this site are from official sites only. And in this article, all Google Chrome 60 download links are directly from Google.